312 West Route 38 is a 77,545 square foot professional office building conveniently located in Moorestown, New Jersey. The two-story building was constructed in 1970 and sits on over 17-acres. The property additionally features nearly 400 parking spaces. 312 West Route 38 is minutes from the Moorestown Mall and close in proximity to Philadelphia. The building will undergo renovations expected to be completed in early 2019. 1950 Route 70 East is a 26,176 square foot Class-A office building located in Cherry Hill. The three-story property was constructed in 1984 and sits on a 1.84-acre lot that features 135 parking spaces. The property is within short distance to the Cherry Hill Mall and the Greentree Square shopping center. The building will be undergoing renovations expected to be completed in late 2018. 901 Lincoln Drive West benefits from an excellent location along Route 73 in the heart of Marlton. The building is strategically located about one mile south of Exit 4 of the NJ Turnpike and I-295 access ramps on Route 73 in Evesham Township.The Class-A four-story office building was constructed in 1985 and is 39,434 square feet. The building sits on 2.5 acres and has copious parking spots including an indoor parking garage. The property benefits from a central location in Moorestown and is minutes from the heart of the downtown area. The two-story office building attracts a variety of professional tenants due to its close proximity to Philadelphia. The building was constructed in 1972 and will undergo renovations expected to be completed in October of 2018. A professional office building conveniently located on Kings Highway. The property is within short distance of Ponzio’s, Ellisburg Shopping Center, and the Cherry Hill Mall. A professional office building conveniently located on Kings Highway. The property is within short distance of Ponzio’s, Ellisburg Shopping Center, and the Cherry Hill Mall. Features an on-site café. Blason Plaza II is a 48,000 sq. ft. boutique office property located at 505 S. Lenola Road in Moorestown, New Jersey. The two-story property was constructed in 1971 and sits on a 4.01 acre site, with more than 200 parking spaces. 401 Route 70 benefits from an excellent location in the heart of Cherry Hill and is easily accessible to Interstate 295. Constructed in 1985 on a 1.61-acre site. It is a 30,500-square foot two-story building. The property was constructed in 1985 and sits on a 1.61-acre site. It is a 3,727 square foot home that has been converted into office space. A highly visible professional office building on desirable North Kings Highway in Cherry Hill. It is conveniently located just north of Route 70 with easy access to Interstate 295 and the NJ Turnpike. The property is within a short distance from the Cherry Hill Mall and Garden State Pavilion Shopping Center. 811 Church Road is 20,000 SF, two story Class-C office building located at 811 Church Road in Cherry Hill, NJ. The property was developed in 1960. The office is currently 97% leased by a myriad of small tenants on short term leases. Beautiful one story professional office building located in West Deptford Township, approximately 20 minutes by car to both downtown Philadelphia and the airport. The property benefits from an excellent location at the intersection of Grove Avenue and Riverwinds Drive, less than a mile west of Interstate 295. The property sits at the mouth of the entrance to the RiverWinds Community Center, a township owned parcel of preserved land with amenities such as a fitness center, aquatic center, tennis courts, and a Ron Jaworski Golf Course. 20 East Clementon Road is a three-story, 38,260 square foot midrise office building in the Paintworks Corporate Center that was built in 1989. The building touts newly renovated common area and restrooms. The office sits on a 1.50-acre site within the Paintworks Corporate Center and has 200 on-site parking spaces. Amenities of the park include an on-site day porter and maintenance technician, first class management systems and fiber optic connectivity. The property is in the immediate vicinity of multiple store and restaurants including the Voorhees Town Center, Target, Acme, and The Chophouse. On the corner of Haddonfield road and Church road. Across the street from the Cherry Hill Mall. 1020 Laurel Oak Road is a Class A, 3-story, 57,600 SF office building located in the Laurel Oak Corporate Center. It has a brick exterior with a continuous band of tinted glass, a renovated lobby and upgraded bathrooms throughout the building. The property is located at the corner of Haddonfield Berlin Road and Laurel Oak Road, 5 minutes from Echelon Mall. It is convenient to Routes 73 and 295 and has immediate accessibility to area restaurants and hotels, along with other local amenities. Corporate neighbors include: Ohio Casualty Group, American Express and SunGard Computer Services. 5000 Dearborn Circle is a 1-story, 56,016 SF office building located in Mt. Laurel. It has a granite tile exterior facade with a continuous band of tinted glass, & a renovated lobby area. The property is conveniently located minutes from Moorestown, with easy access to NJ Turnpike. It is convenient to Routes 73 and 295 and has immediate accessibility to area restaurants and hotels, along with other local amenities. 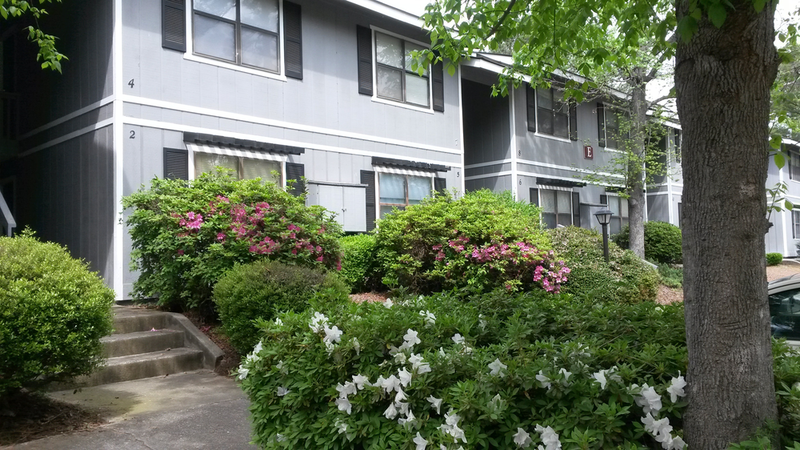 Ashley Woods apartment community is a 96-unit, multifamily, garden style apartment complex set on a property which is heavily wooded with pine tree. The community was constructed in 1984 with 6 buildings, consisting of 72 large one bedrooms at 800 square feet and 24 two bedrooms at 1,100 square feet resulting in slightly over $34K per unit. The Whispering Woods apartment is a 108-unit multifamily, garden & townhome style apartment complex built in 1983/1984 with 17 buildings. The property has 58 two bedrooms, one and a half town homes, and almost all units are 1,100 square feet or more averaging out over $45,000 per unit. Villa Valdos Apartments are a 56-unit Garden style complex located at the home of Moody Air Force Base and Valdosta State University. This wood frame construction property was built in 1968, the property consists of 7 buildings all 2 stories valuing each unit at roughly $27,000. Hartford View Apartments is 120-unit, multifamily, garden style apartment complex built in 1970. This property consists of 14 buildings in a region with the median age of 35 and 55% % of the area choosing to rent within one-mile radius. Each unit is estimated at $25,000. Skyline Country Club Apartments is a 52-unit multi-family community with a unit mix of one, two and three bedrooms’ apartments. The property is composed of 2.31 acres. The site is comprised of 5 residential buildings which include a centrally located leasing office, two laundry facilities, and a sparkling salt water swimming pool. The complex is conveniently located approximately 1.5 mile west of I-65 off Highway 90 and nestled within two unique neighborhoods. Across the street from Skyline Country Club Apartments is Heron Lake Country Club. Approximately $47,596 per unit.